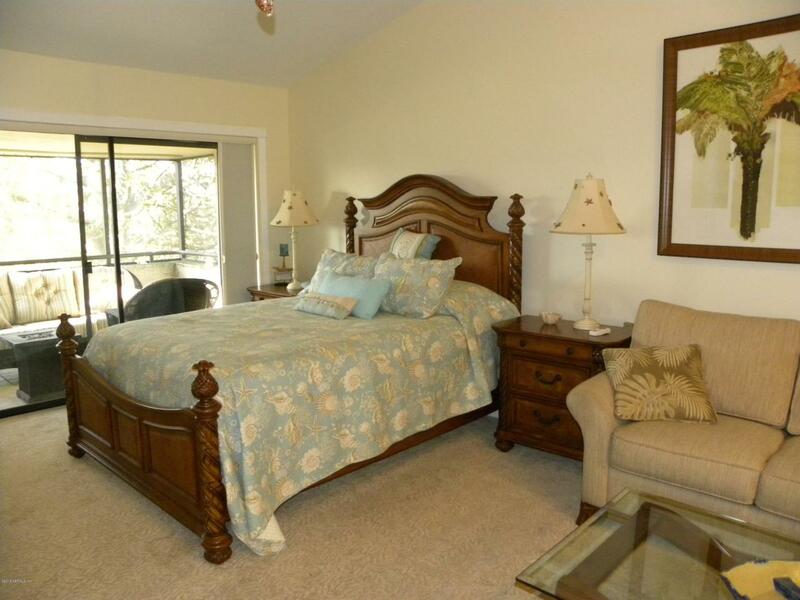 Perfectly appointed upstairs one room efficiency with vaulted ceilings and screened in porch. 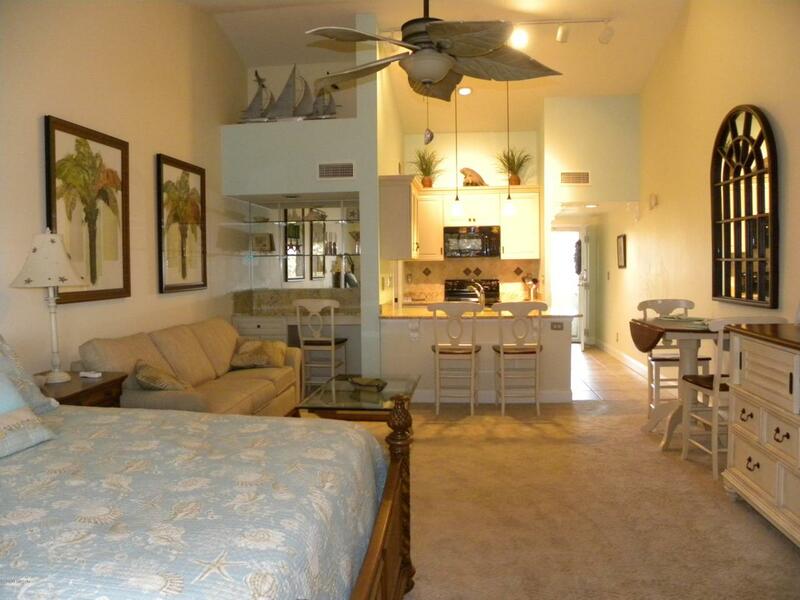 Located in the Beach Club of Sawgrass Country Club! 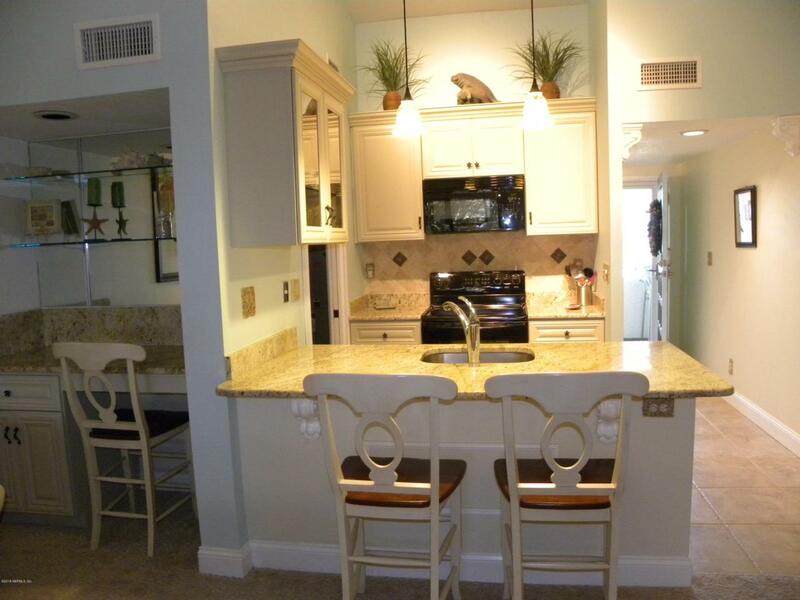 Completely updated bathroom and kitchen with solid surface counter tops and new cabinetry. New appliances and washer and dryer. One queen size bed and large pull out sofa. Easy beach access! 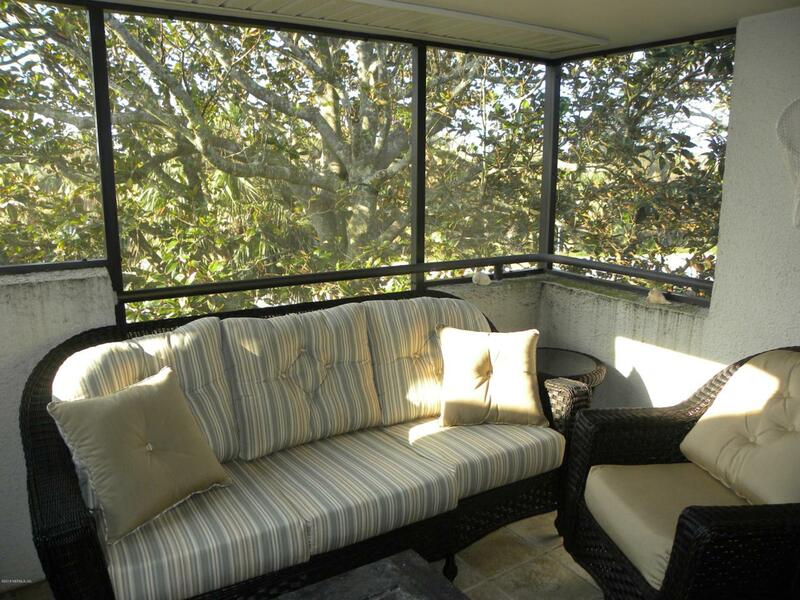 Interior Amenities Furnished Tile Floors Vaulted/Cath. Ceil.